See more Kenneth Jay Lane Earrings. 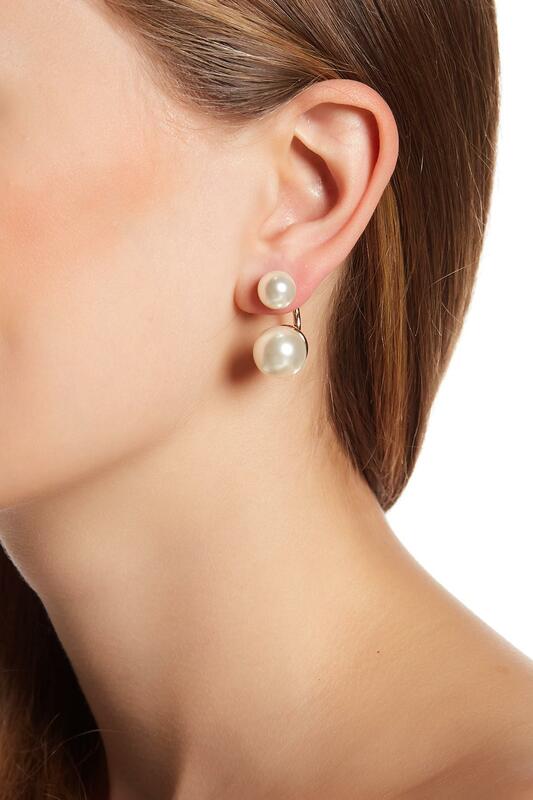 Gold-toned glass pearl circular ball ear jackets. Post back. Approx. 1" length. Nickel free base metal, glass..